Dark oak laminate flooring gives your home cosy and inviting feeling. Its rich dark colour is perfect to combine with light coloured walls to create impressing contrast. For additional decoration any kind of colour can be used. With dark coloured oak effect laminate flooring light coloured furniture harmonizes best. Both traditional and contemporary furniture goes well with laminate oak flooring. 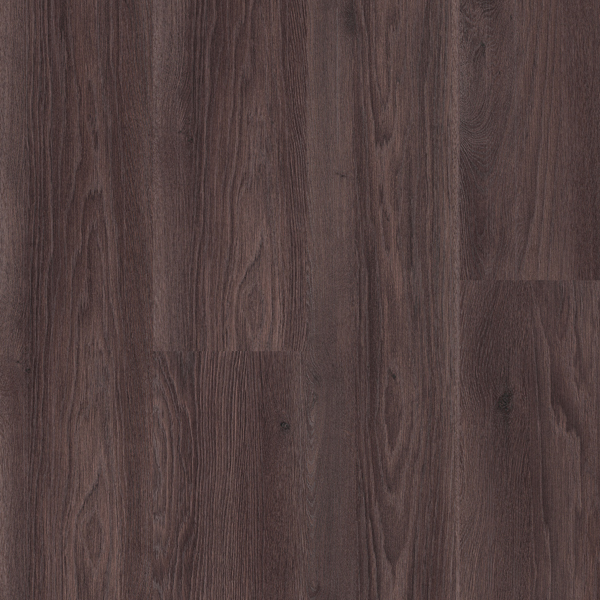 Dark oak effect laminate is most commonly used in vast rooms with lots of natural or artificial light. It looks especially nice if it is installed in some kind of pattern using bigger size of planks. It creates very majestic appearance. High end technology provides dark oak effect laminate flooring that looks exactly like dark hardwood floors. Even trained eye can`t spot the difference. Especially thickest types of dark oak effect laminate look identical as dark oak hardwood floors. If you touch it, it even feels the same as dark oak hardwood. But there are some differences between these two types of flooring. 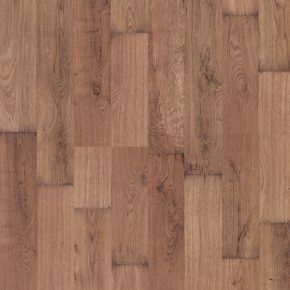 Oak effect laminate is quicker and easier to install, it is much more economic, surface can be used immediately after it is installed and there is not much cleaning after the installation process. Oak effect laminate installation is also health friendly because no glue or lacquer is used and no sanding is necessary. There are no harmful vapours or dust. It is installed with click system. Every tile has a groove and a tongue which fit together perfectly. Without any force, tiles are simply clicked in place. Natural oak laminate flooring is a classic. It is popular in all colours from light to dark with all nuances in between. There is no specific type of clients who prefer natural oak effect laminate flooring. It is admired by all generations. Its advantage is to complement very well with all types of furnishing whether you choose traditional or contemporary style. Natural oak effect laminate will give every room pleasant and inviting feeling. Vintage oak laminate flooring has become very popular in last years. It is perfect for creating rustic or industrial look of your home when combined with traditional or modern furniture. Not only that vintage oak effect laminate flooring has the look of old distressed floor, it can also have a feel of old floors. It is possible to create surface texture of oak effect laminate flooring which looks hand scraped to create that extra realistic old feeling.